Welcome to today's design challenge. 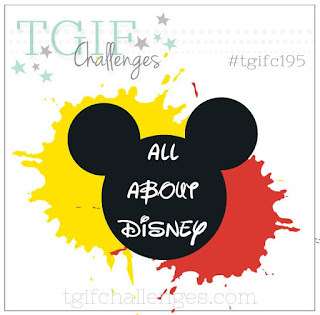 Over at #TGIF195 is all about Disney. We get to make anything we want, it can go in any direction, we just need to have been inspired by something Disney. I thought I would go simple and cut out the iconic Mickey ears using the Layering Circles Framelits and the Large Letters Framelits. I started my Disney inspired card with a Lemon Lime Twist card base with a top fold. Next I cut a piece of the Botanical Butterfly DSP wide enough to cover my entire card but not as tall. I took that piece of black and white DSP to my Big Shot to cut "L, V, and E" being sure to leave a gap for the Mickey ears. Next I used one of the smallest circles from the Layering Circles Dies to cut out Mickey's head. To get the ears I had to get creative because none of the framelits were small enough. So, I used the dot from the exclamation point in the Large Letters Framelits Dies. In order to not cut the entire exclamation point and only what I needed I set my top plate only on the portion I needed. The adorable greeting comes from the Sunny Days Stamp Set. 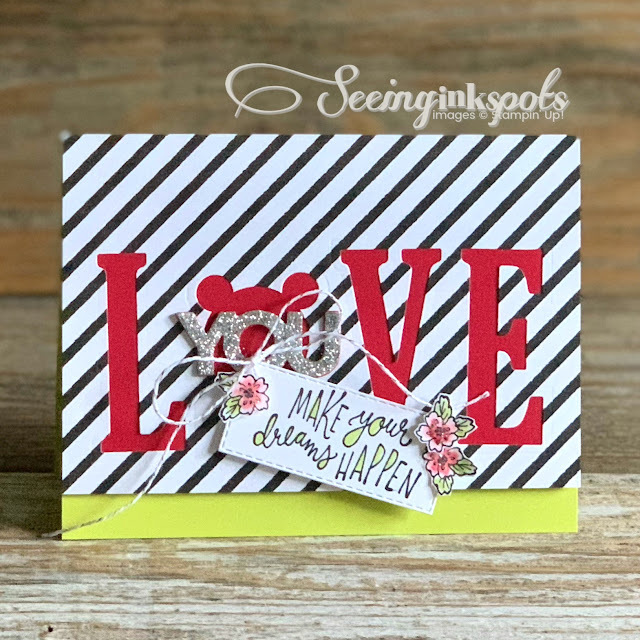 I stamped it with Basic Black Archival Ink and then added Lemon Lime Twist Ink with an Aquapainter in the bubbles of the letters. 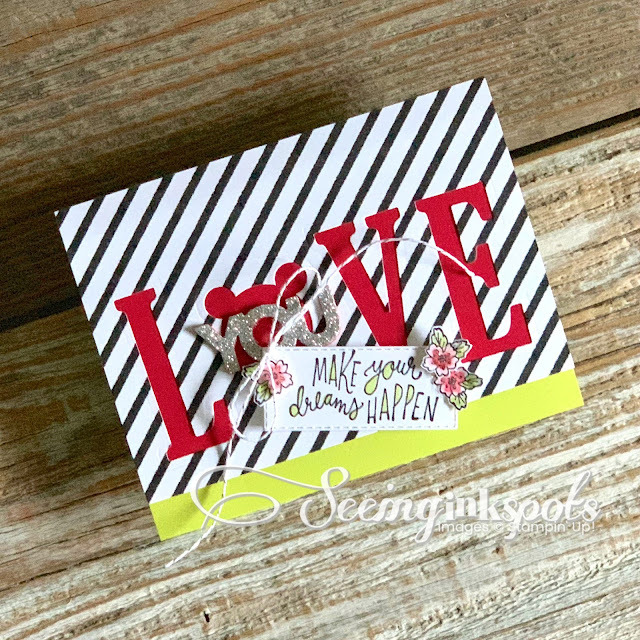 I did the same thing with the fussy cut flowers, which also comes from the Sunny Days Set, I also added some quick swooshes of Real Red Ink. To cut the greeting I used one of the Rectangle Stitched Framelits Dies. The design and idea for this card is so adorable and creative!!! Love the Mickey silhouette you created and that greeting is just perfect for the Disney theme!! !